Agosto | 2014 | Sana Ako si Ricky Lee! Recently a lot of people have been quite disappointed that the WISH FULFILLING AND BUDDHA’S BLESSING MANTRA PENDANT is no longer available for everybody. I now choose the people who seriously need it. This is because of the production delays in producing the pendant. However, one need not despair because even if enjoys a very high personal testimonial success the WISH FULFILLING AND BUDDHA’S BLESSING MANTRA PENDANT is still only a tool to hasten this blessings. 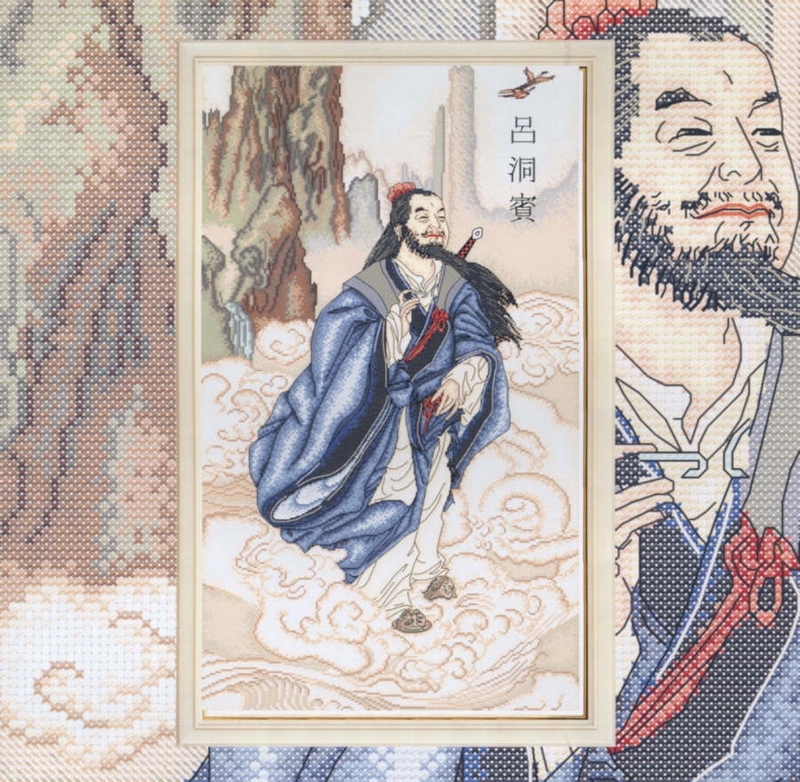 If you cannot avail of the WISH FULFILLING AND BUDDHA’S BLESSING MANTRA PENDANT I would like to remind you where it started by reading the post – RECEIVE SHOWERS OF BLESSINGS BY TAPPING TWO OF THE MOST POWERFUL MANTRAS. 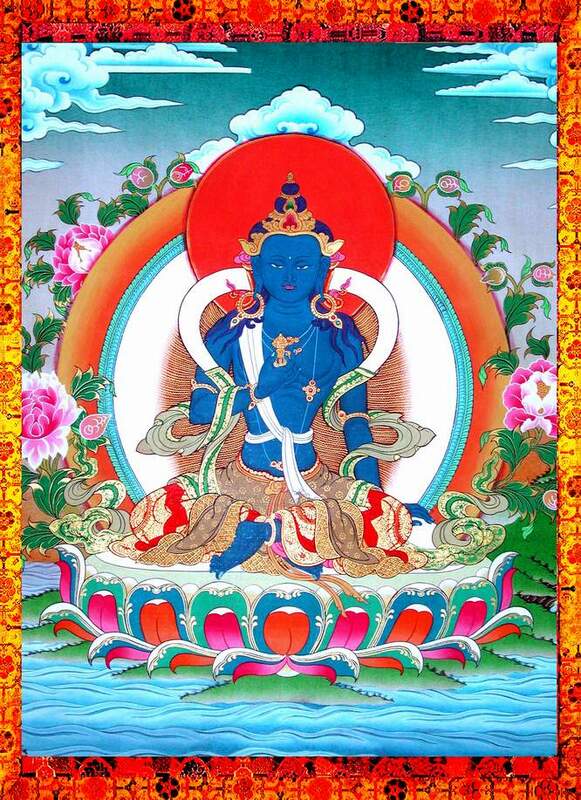 Remember, chanting the mantras is still the best way to get blessings from the Buddhas and the Bodhisattvas. Some of you have been emailing, sms-ing, or calling me to address the attack that was made against me, this site, and the Wish Fulfilling and Buddha’s Blessing Mantra pendant. 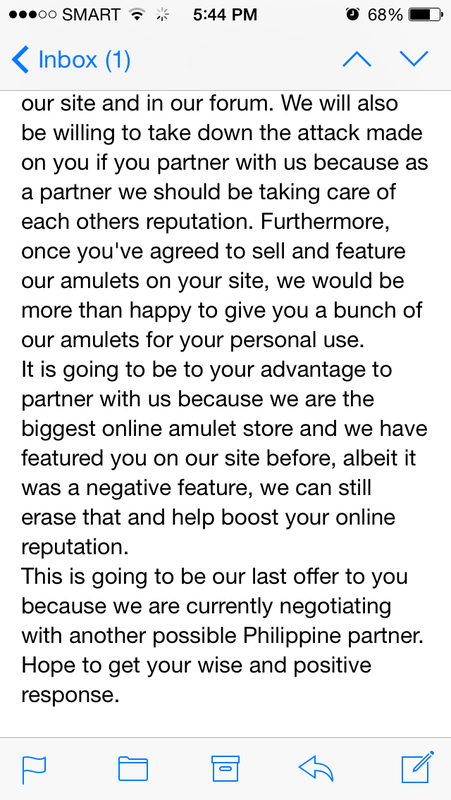 The attack was made by a site from another country who sells amulets. 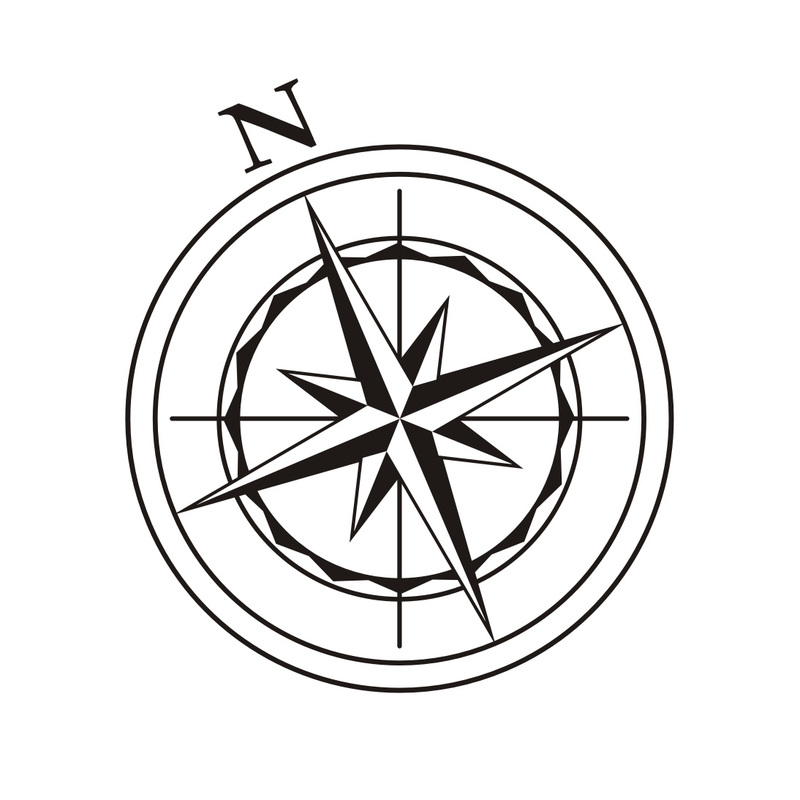 I have chosen to ignore the attack before because I don’t want to attract any negative chi, furthermore, I believe that my readers and those who have gotten the pendant are the best people to vouch for my reputation and for the effectivity of the pendant. But because of a new development in this matter, I now would like to put out my official statement. First, I categorically deny their accusations. Second, I will never write about anything that I don’t personally believe in or have tried. Neither will I write about anything for the sole purpose of having a commission or profit. Third, while I have briefly talked about the said matter in one of my post before, this is the first and the last time I am really going to directly address the said matter. I will not waste my time and energy and attract negative chi by dwelling on the said matter. What prompted me to react now? Please just see the latest email. Below is their website and contact details. 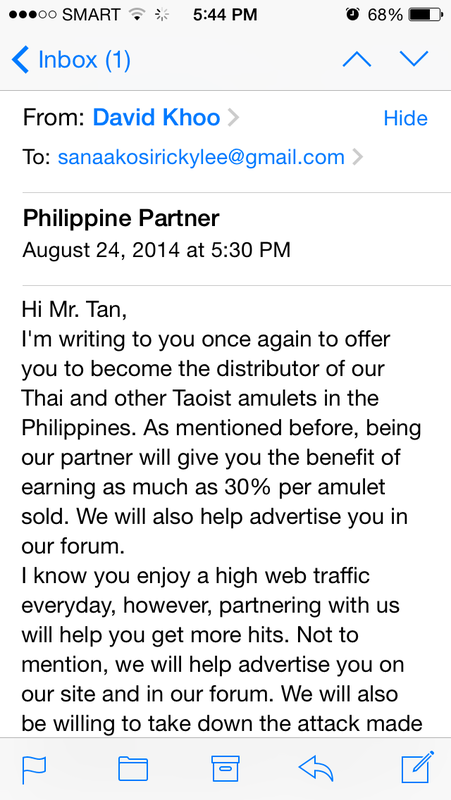 I’m not showing it here so that they won’t get what they truly desire and that is to be advertised here on my blog. Hope this puts the said matter to rest. Thank you. A few weeks ago I got an email from SD, single mother who works in the Middle East. She was requesting for the WISH FULFILLING AND BUDDHA’S BLESSING MANTRA PENDANT, our email exchanges lead to a phone conversation. I believe part of our conversation had me asking her to reconsider getting the pendant and suggested that she say some mantras instead. She mentioned that she indeed has started saying mantras. According to SD, she used to have some weird dreams, dreams that are really scary and although she was unable to share all the details of her dreams she stressed that they are really scary. In fact, I can detect in her voice a little fear even if she was simply telling me about her dreams. 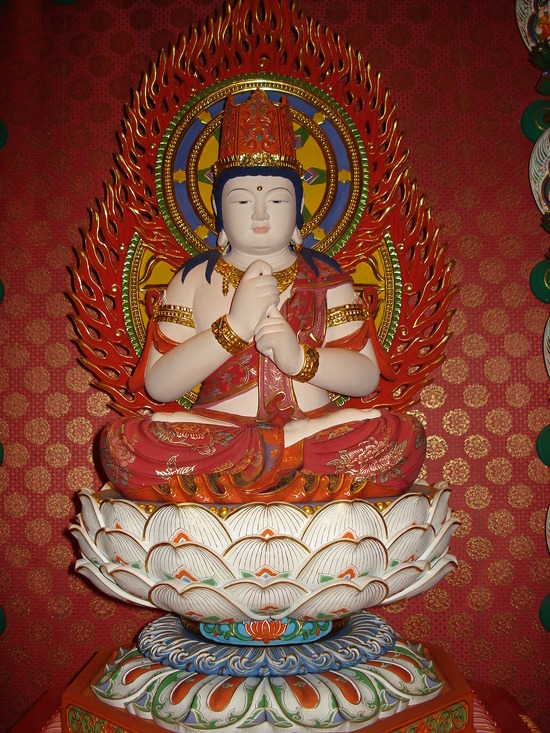 However, she said once she started chanting OM MANI PADME HUM the Mantra of the Bodhisattva of Compassion – Kuan Yin, her dreams has started to become different, in fact, they’ve started to become ‘sweet’ dreams instead of nightmares. 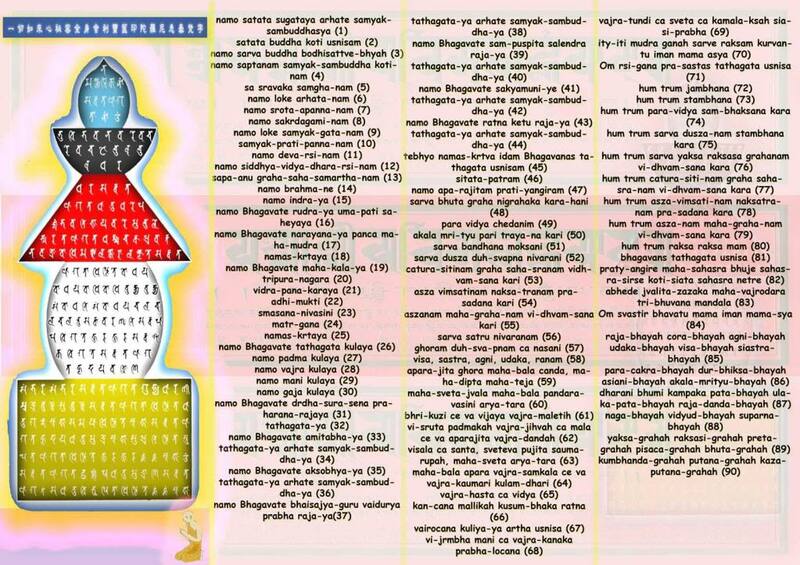 When chanting a mantra its best to chant it in a minimum of 108x. 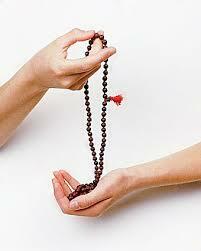 To help you keep track use a mala bead. Without going into details, I think and believe that a lot of her dreams are psychic in nature. I say this because of some of the things she shared with me about what’s happening with her life. Having said this, the chanting of the mantras didn’t just change her dreams, her dreams changed because her life is changing for the better! On top of that SD also believes that constantly chanting a mantra helped saved her life. She was driving, when she lost awareness of what was going on, it was just a split second but all of a sudden she lost control of the car she was driving and was about to bumped into another oncoming vehicle. 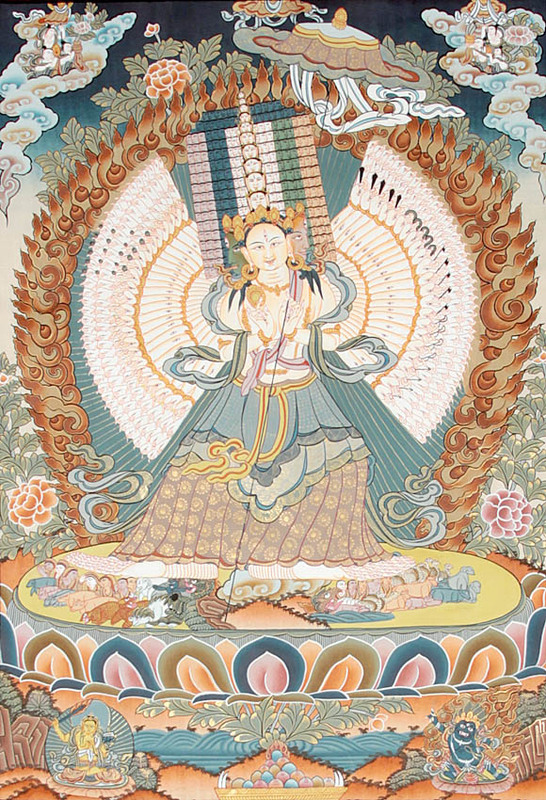 From how I understood it, SD chanted OM MANI PADME HUM, and luckily she was able to immediately take control of the car again and she lived to tell the story. Sharing this because I know a lot of us, myself included, sometimes tend to simply focus on having some wonderful amulet or charm to help fight off the negative energies around us. For example, a lot of people send me emails wanting to get the WISH FULFILLING AND BUDDHA’S BLESSING MANTRA PENDANT, but since making the pendant is very tedious for me because I have to count the bazi of the person who wants the pendant and because of production delays and other problems, I’m now making sure that the person really needs the pendant before agreeing to take on a request. 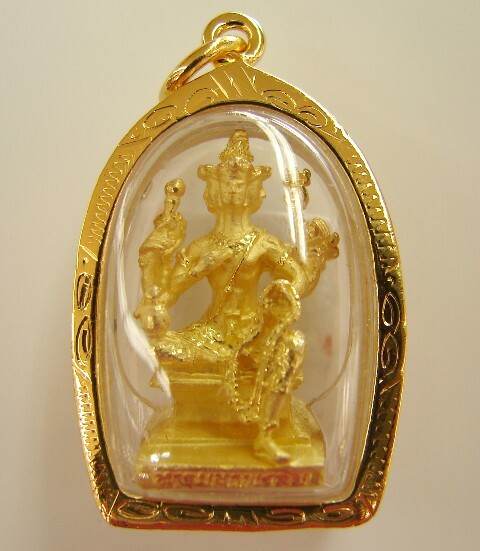 However, SD’s testimony is proof that maybe if we put on time and effort maybe the personal testimonies about the chanting the mantras are going to be even more wonderful than the testimonies I get about the WISH FULFILLING AND BUDDHA’S BLESSING MANTRA PENDANT. So I say, lets all put it effort in saying the mantras and get to see what miracles it will bring us. Three passenger airline accidents in less than a month. 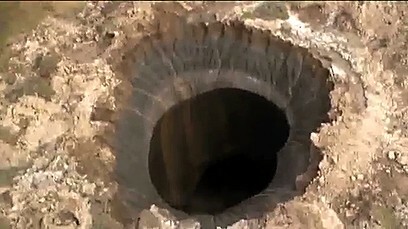 One after another mysterious holes large enough for a helicopter to fly inside in Siberia. A lake that mysteriously appeared out of nowhere in Tunisia. Taiwan discovered that their chopsticks are laced with sulfur dioxide and other chemicals that are slowly poisoning them. Glenda, Henry, Jose, Inday, 4 typhoons, and Monsoon (Habagat) rain in the Northern part of the Philippines, again within a span of a month. 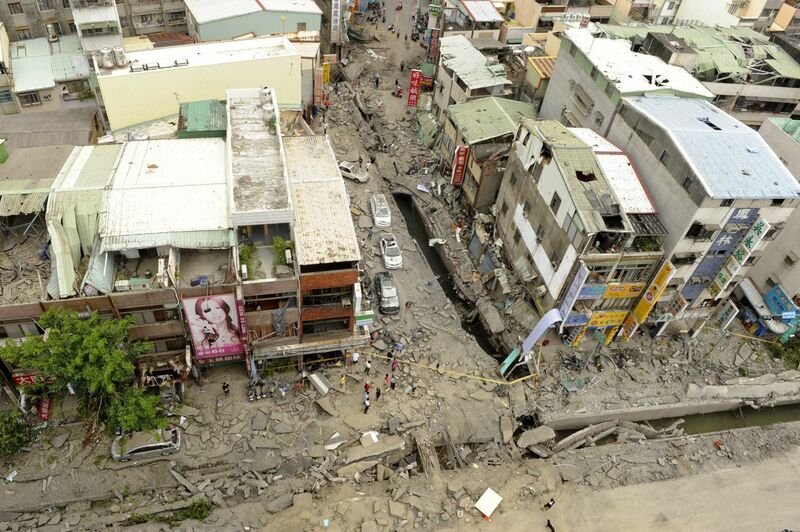 One of the worst gas leak tragedy in the world that happened in Taiwan. The worst Ebola epidemic ever in its history since it was first discovered in the 70s. It started last year but went out of control this past 2 months. Not only it is the worst Ebola epidemic ever but it is Ebola Zaire, which is also the strain that is hardest to manage and deadliest. On top of it, death toll increased from 30% – 40% to 60%. Just today, United States, Philippines, Morocco, and Brazil announced their first Ebola case of death and diagnosis outside West Africa. 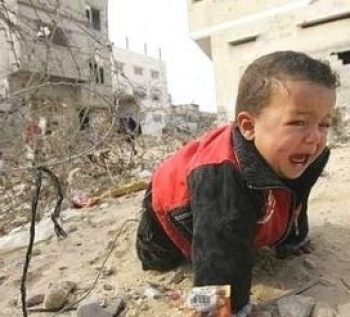 Gaza war getting worst with lots of children and women dying because of the war! One of the most devastating effect of the Gaza War is how children are victimized. Mysterious animal roams the streets in California. East Ukraine city dying under siege. Russian gang that amasses more than a billion passwords. New Zealand slopes lacking of snow this season. 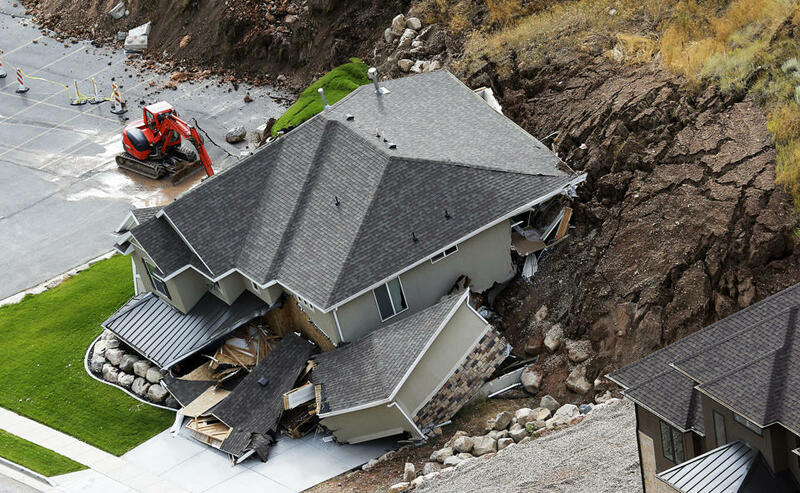 A terrible landslide in Utah. South East Asian nations conflict with China getting worst. A man-made Dead Zone in the Gulf of Mexico as big as Connecticut that’s killing all forms of marine life. One of the worst dead zone in the world. Also, Hawaii is set to face 2 large hurricanes – Hurricane Julio and Hurricane Iselle! Yesterday, a nine vehicle accident that killed a person and injured several others in the Philippines. Not to mention the political, constitutional crisis not only of the Philippines but other countries as well. Furthermore, several murders where teenagers are the perpetrator. I bet most of you will have some story to share on what happened with this and that person. Amongst my FB friends, 2 have died and several others have family members who died or are going through something at the moment. A nurse who is a reader informed that in their hospital deaths amongst patients has dramatically increased that the medical director had to call for a meeting to check whether they are doing anything wrong. Their record shows that death is higher between July and August of each year but it is so much higher this year. Need I say more? These are just some of the obvious effects of the 2014 Hungry Ghost Month. 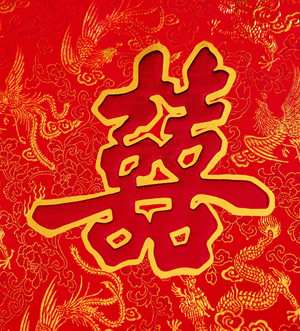 To understand it further please do read my previous post entitled – WHAT EVERYONE SHOULD KNOW ABOUT THE 2014 HUNGRY GHOST MONTH AND MERCURY RETROGRADE. Yes these things happens also even if its not the Hungry Ghost Month, but what you should look at here is the intensity and frequency of these things. 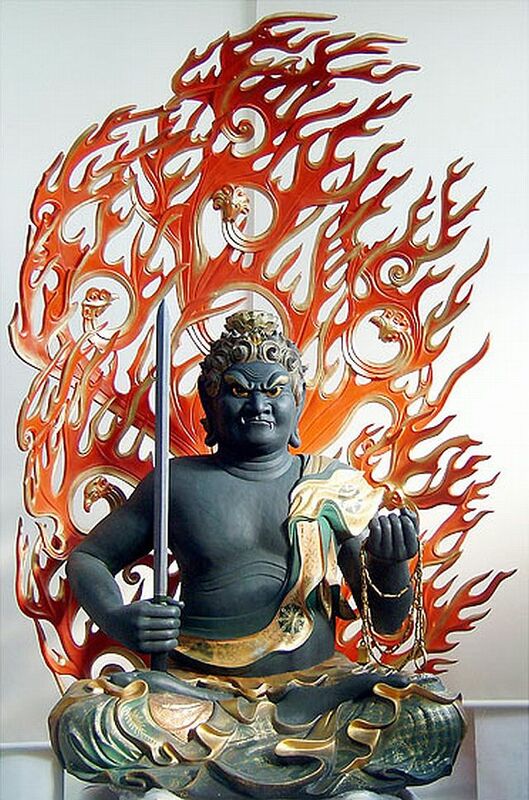 To protect yourself please read my post – PROTECT YOURSELF FROM THE ILL EFFECTS OF THE 2014 HUNGRY GHOST MONTH AND MERCURY RETROGRADE. However, it’s very important that you don’t just protect yourself, we should do something for the world. We should be able to do something to help avert further tragedy. I have been very busy the past few days and did some unavoidable traveling but I got a call from my Guru Lama who instructed me to write that several temples are offering the recitation of the mantra of the Bodhisattva of Compassion, Bodhisattva Ksitigarbha and Medicine Buddha, each mantra will be recited 100,000 times a day! I know 2 temples that are doing the same thing here in the Philippines with several pujas and offerings being done to help counter the worldwide effect of one of the worst Hungry Ghost month ever. You can ask your local temple, if not you can do it at home. For most people 100,000 chants of each of the Buddha and Bodhisattva mentioned can be overwhelming but according to my Guru Lama do 10,000 times for each and it will help a lot. If that is still a little too much for you just chant them as many as you can something and anything is better than nothing. If possible, just before 6pm, get a handful of rock salt and just toss it outside of your house. Do this everyday until Sept. 5, 2014. Please remember to specifically dedicate after saying mantras to the protection of the world from the hungry ghost month. It is the hope of different monks that by doing this a lot of the ill effects will either be averted or tamed. But reciting the said mantras will protect you as well.